At the end of the production of the reference 5970, Patek Philippe released a limited number of four-piece sets of the 5970 with special dials, amongst which are these two watches in platinum and rose gold. 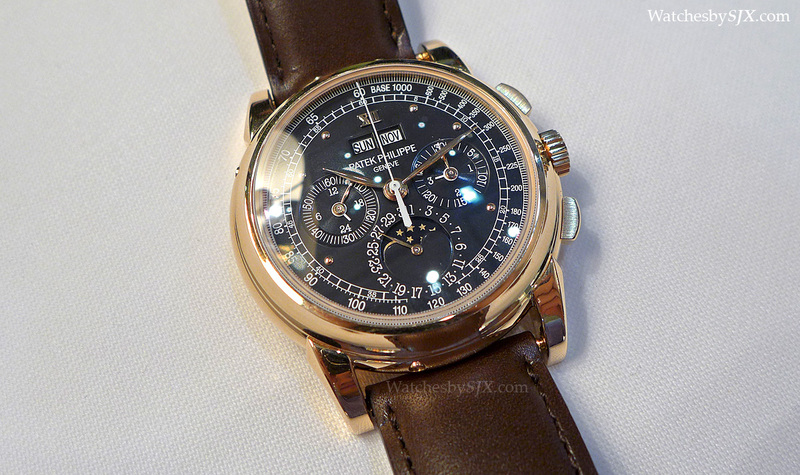 Produced from 2005 to 2011, the Patek Philippe Reference 5970 was the last chronograph with perpetual calendar to use a Lemania movement, marking the end of the outsourced ebauche era in Patek Philippe’s stellar chronograph history. 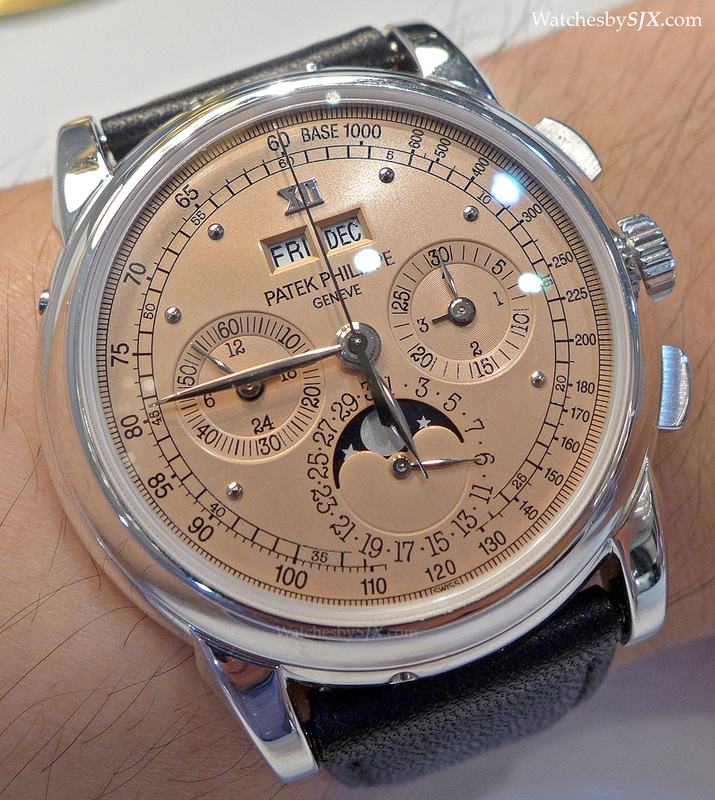 As is increasingly the case with Patek Philippe’s discontinued references, at the end of its production Patek Philippe produced a limited edition of the 5970 featuring special dials never seen before. Just as it did with the last run of the Reference 3970, Patek Philippe created a four-piece set of the 5970 in the three colours of gold as well as platinum. These sets were a limited edition, several such sets were made, but the total number remains unknown. Sold via its Geneva boutique to special clients, a complete set has never before appeared at auction. In December 2013 Christie’s sold the yellow gold 5970J (with a champagne dial) from one four-piece set, achieving US$353,000, making it the most expensive 5970 without gemstones ever sold. At Christie’s Hong Kong sale later on 28 May 2014 two more special 5970s will be offered. The first is a 5970P in platinum with a gorgeous salmon dial. We love salmon dials, and this one is just spectacular. Finished with a vertical satin brushing, the dial is a pale copper colour. 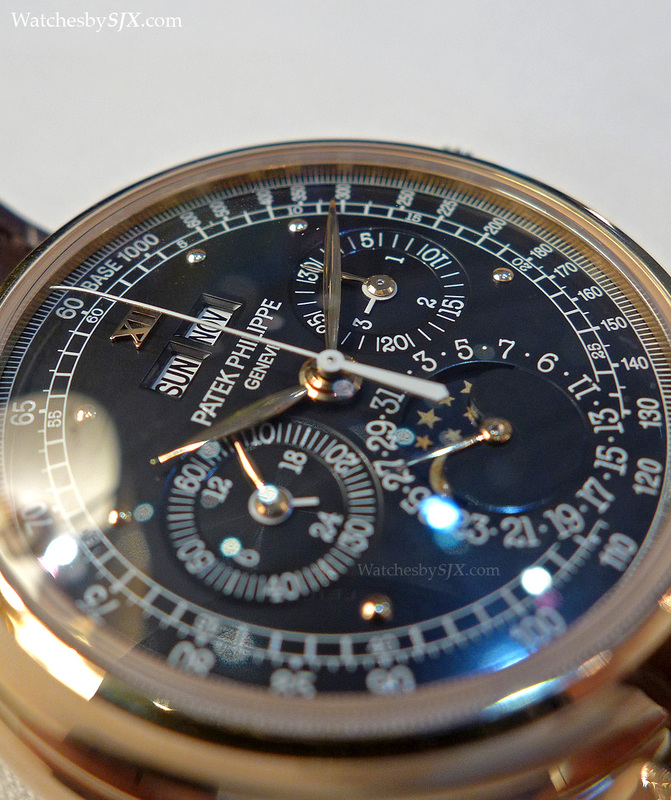 And like all the other watches in the series, it has a Roman “XII” and spherical indices for the other hours. combination of Roman and round indices is an odd aesthetic that’s hard to pin down, neither classical nor modern, but the watch is beautiful nonetheless. The hands are made of the same blackened gold that was used in the regular production, white gold 5970G. The second is a 5970R in rose gold with a deep black dial. 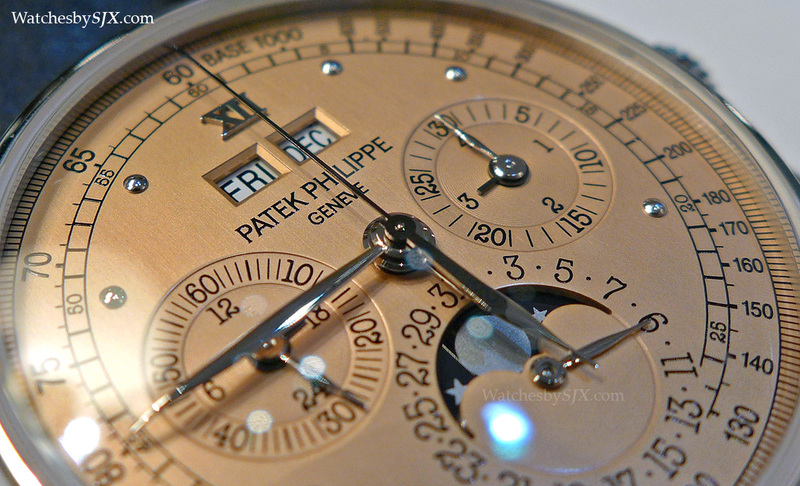 Black and rose gold is a common combination in wristwatches, but unusual for Patek Philippe chronographs. 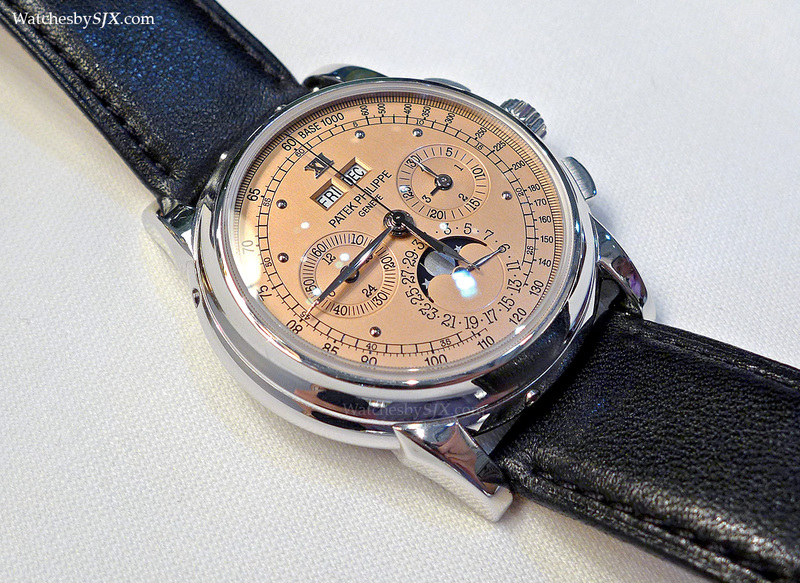 Unlike the 5970P above, this one has a glossy, lacquered finish on the dial. 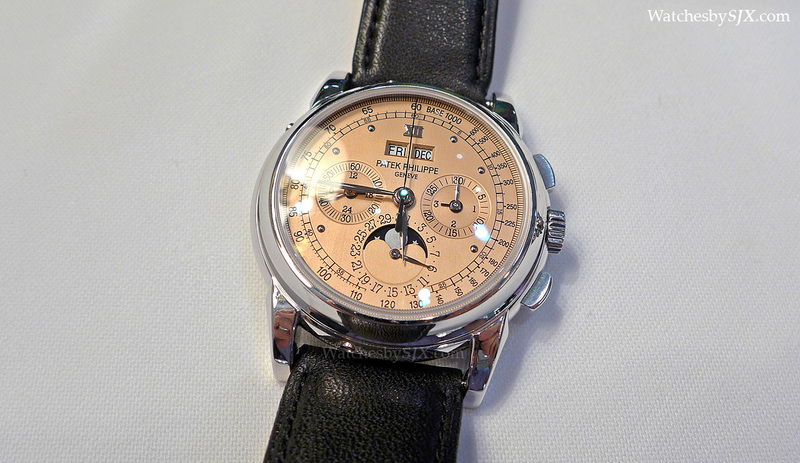 The design of the dial, however, is identical in all the watches of the four-piece set. Both of these 5970s are powered by the same Lemania 2310-based movement found in the 3970. Such limited editions raise the obvious question of who is deserving of them? 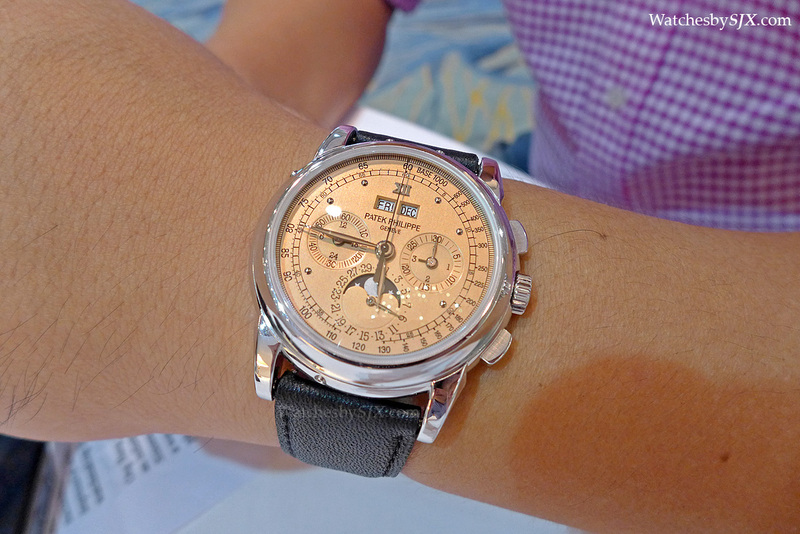 Patek Philippe likely has the richest client base of any watch brand, with multitudes of collectors having spent seven figures with the brand. That means the threshold for entry into the exclusive circle of clients who get such limited editions must be very, very high. And so it’s no surprise each of these will fetch at least as much as the 5970J sold last year, if not more. Herein is a lesson in making limited editions that differ only in the dial: if the edition is tiny enough and the model is a desirable one, the resulting series will be immensely valuable. More details are available from Christie’s.